"Are the Ideas of the Jesus Seminar Now Catholic Doctrine?" I am a philosophy major at Oregon State University where Marcus Borg is a professor. Many of the churches in our community ascribe to his teaching. Here is my question…I have a dear friend that grew up in an evangelical Catholic home and knows Christ as her personal savior. She has been attending the local Catholic church here in Corvallis and recently has been strongly confronted by one of the deacons on issues surrounding the literalism of the Bible (i.e. the ideas of the Jesus Seminar, taught by Borg). The deacon has been telling her that Biblical non-literalism as Borg teaches is part of Catholic doctrine and part of the Catechism. Is this accurate? Is this indeed an international Catholic teaching or does it depend on the individual parish or person? I would appreciate any wisdom you might have on this topic. Honestly, it’s been really heated here lately, as Borg’s new book has just been released. We would love it if either of you (or other speakers from Probe) could come out and do a presentation for all of the confused Christians. There is a strong evangelical movement in Corvallis, but unfortunately, it tends to be strongly anti-intellectual and isn’t well respected in the university community. As a student, I want to be able to better understand the critical issues at hand and be able to represent Christ in grace, truth, and love. Send me whatever thoughts you have…I read article on the Jesus Seminar through Leadership University and that helped, but I really would love even more detailed information if you have any. Thank you so much for serving as a resource for students of the Word! Thank you for your recent e-mail concerning the Jesus Seminar. I can empathize with your “dilemma” under the shadow of Marcus Borg at your university. 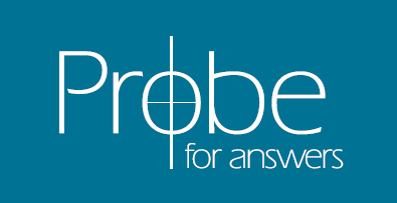 I don’t know if you have checked the Probe Website (www.probe.org) or not, but I would direct you to at least two essays: one that I wrote is called The Jesus Seminar, and a second was written by my colleague, Rick Wade, entitled The Historical Christ. You will find good bibliographical info for further study. I would rather doubt that the tenets of the Jesus Seminar are now officially sanctioned by the Roman Catholic Church worldwide. I would recommend that your friend ask for official, written documentation from this priest for his assertion that this is true. I am 99% positive that no such position has been taken by the Catholic church and its biblical scholars. There is too much at stake for the church to take such a radical stand which undermines much of what they have held to be true about Jesus Christ. If you are looking for someone to come and debate Borg, I would suggest that you contact my good friend Dr. J. P. Moreland and/or Michael J. Wilkins at Talbot Seminary in southern California. They edited a book entitled Jesus Under Fire which was published by Zondervan in 1995. Each chapter is written by a evangelical scholar, each of which develops and refutes the major arguments of the Jesus Seminar position. I have been studying this topic for several years, and following the literature, but these men, as New Testament Scholars, are current on this issue and have devoted the kind of study and depth necessary to give good account of themselves with a fine scholar like Borg. I can appreciate your frustration with the general Christian community. Most are not “armed” for the battle of ideas which we face. That is why I left Campus Crusade in 1973 and began Probe Ministries. At the time I gave oversight to the Campuses in the Southwest U.S. The worldview America has come to embrace generally now once existed only on a few campuses: UC Berkeley, San Francisco State, U. of Wisconsin (Madison), Columbia U., and U. of Colorado. I found myself hard pressed to respond to the questions of these students. So I decided the Lord was calling upon me not to “curse the darkness”, but rather “light some lamps!” The early Christians, it is said, were effective because they OUT-THOUGHT and OUT-LOVED the ancient world! In fact, for 250 years after the apostles died off, the church did nothing but try to survive and answer/refute/respond to all the doctrinal challenges which came from the Jewish and Pagan communities without, and from sects and heresies within. They were so busy doing this, that it was not until 325 A.D. (Council of Nicea) that the addressed/clarified the doctrine of the Trinity! The FIRST theology of the early church was APOLOGETICAL theology, and we find ourselves facing the same kind of circumstances and challenges today. So you hang in there! And tell your friend to do the same. Challenge the priest and don’t be bullied by him. If it IS an official position, tell her that I requested that it be documented so I will be able to confirm to others who ask that this is truly official. If I were a betting man (and I am ::::SMILE! ::::), your friend will find that no such affirmation of this policy will be forthcoming.